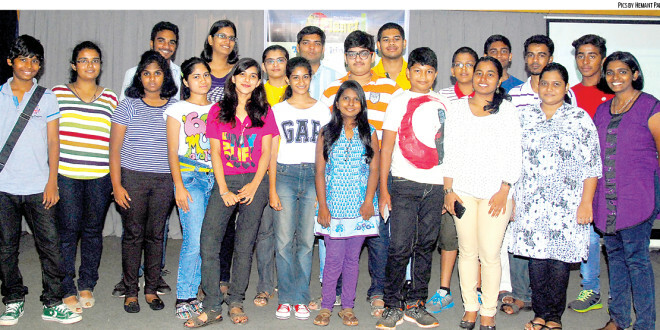 Navhind Times Planet J workshop on Cyber Security was held on June 2 at Dempo House, Panaji. Forty students in the age group of 15 to 21 participated in this half-day workshop conducted by Jervis Pereira of Google Developers Group, Goa.The workshop began with a brief round of statistics on the number of internet users in India and the use of social networking sites. Pereira then went on to discuss some of the major problems that have surfaced in Goa such as the Facebook confession pages, communal tension on Facebook groups etc. This was followed by a description of issues that have begun to surface on the internet, namely identity thefts, cyber-stalking, data theft, morphed photos and cyber bullying. Pereira gave tips on how to protect one ’s self from such crimes and to report a crime, if it occurs. Being safe while shopping online was another important issue that was discussed. How to protect valuable information such as credit card details and passwords while shopping online were explained in detail. The interactive workshop ended with Pereira talking about the dos and don’ts of keeping ones personal computer safe from hackers and avoiding viruses and other malware.